Normal acute inflammation is actually a required component for cellular repair during ovulation, menstruation, implantation, and birth. However excess inflammation is known to be the root cause of a variety of imbalances in the body. 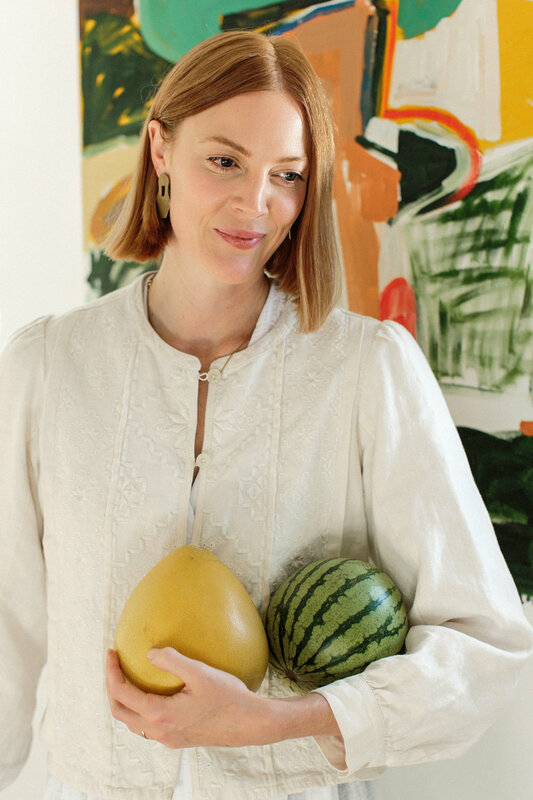 You may have never considered it but many women are affected by excess inflammation without even knowing, and it can have a serious impact on your fertility. Several reproductive disorders are accompanied by chronic inflammation, which can significantly reduce your ability to conceive and maintain a healthy pregnancy. 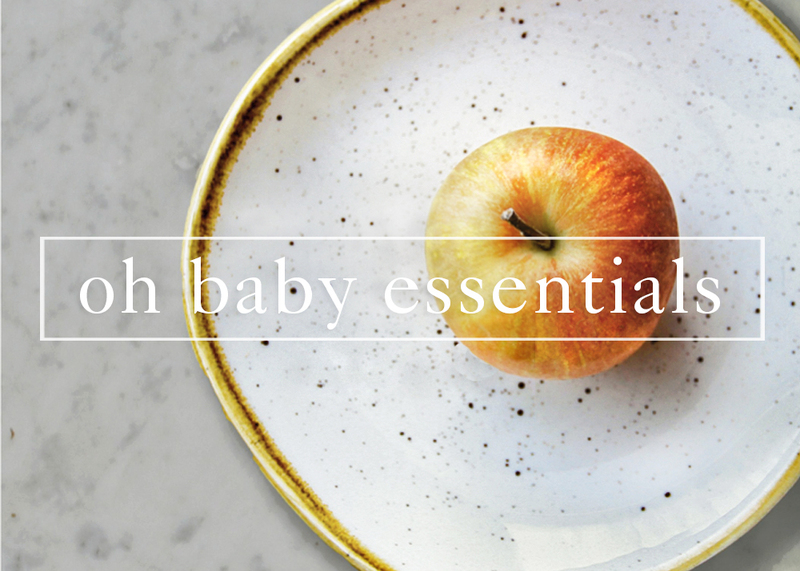 Taking measures to reduce excess inflammation could be a crucial component of increasing your fertility. In 1870, Rodulph Virchow, a German physician known as "the father of modern pathology, stated that inflammation is associated with ‘functio laes’a' or loss of function. Along with increased difficulty conceiving, inflammatory reproductive conditions can cause complications with menstruation such as painful periods (dysmenorrhea), excessively heavy periods (menorrhagia), or bleeding between periods (menometrorrhagia). Even when not accompanied by a reproductive disorder, chronic inflammation can disrupt ovulation, the proper balance of hormones in your body, and endometrial receptivity (otherwise known as implantation). From my post Pineapple For Conception & Brazil Nuts For Implantation. Include colorful veggies, dark leafy greens, blueberries, pineapple, celery, beets, cruciferous vegetables, wild salmon and oily fish, coconut oil, fermented vegetables and probiotic foods. Turmeric and ginger are exceptional at supporting anti-inflammatory pathways in the body. Turmeric contains an active compound called curcumin, which has been shown to inhibit pro-inflammatory enzymes. Ginger contains anti-inflammatory active compounds such as shogaol, paradol and zingerone. As well as being a well-known digestive aid, ginger possesses the ability to ease menstrual pain, reducing both the duration and intensity of pain. Add these freshly grated roots to your meals, soups, smoothies, or steep them to make an anti-inflammatory tea. 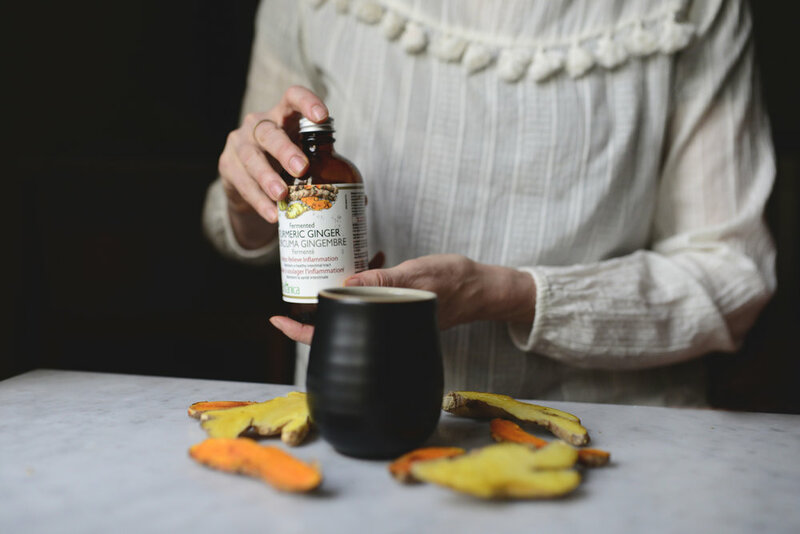 Botanica Fermented Turmeric Ginger is a powerful aid for managing inflammation. It’s fermented using beneficial bacteria, which increases the bioavailability of turmeric and ginger's medicinal properties. Additionally, the fermentation creates new probiotics, enzymes, B vitamins, and micronutrients. 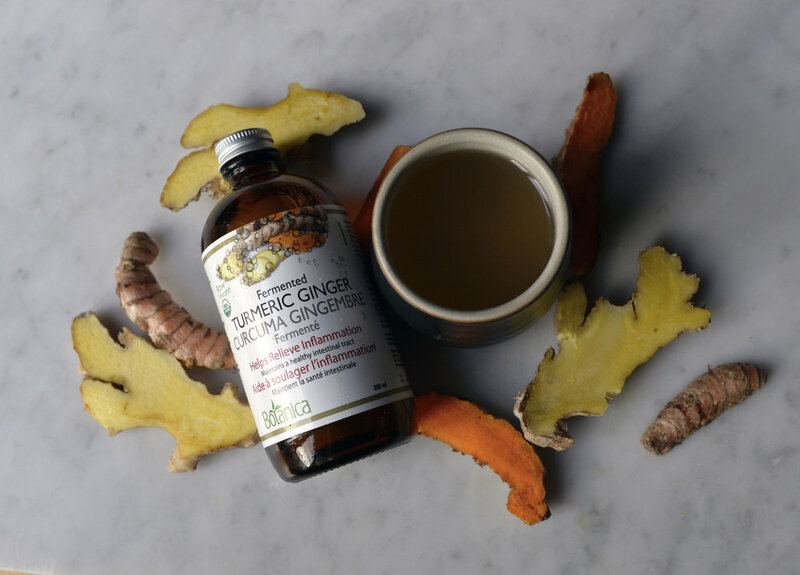 Botanica Fermented Turmeric Ginger is also immune boosting and supports healthy digestion. I love all things fermented but the incredible flavor of this effervescent tonic has got to be one of my absolute favorites. This recommendation should probably have a whole blog post on its own, but for now I'll just say that a large portion of many people's everyday diet is made up of the items on this list. However, the human body isn't designed to be eating these inflammatory foods, let alone in the quantities that we do today. Making efforts to reduce these processed foods can be an incredibly impactful step to restoring balance in the body. Canola , corn, grapeseed, soybean, safflower, sunflower, and vegetable. Hydrogenated or partially hydrogenated oils, margarine, shortening, and vegan butter spreads made from omega-6 oils. Pasteurized dairy promotes the prostaglandins that trigger inflammation. However you may be able to tolerate raw cow or goat cheese, milk kefir, or yogurt (plain & organic). An inflammatory response can be triggered by physical, mental and emotional stress. The stress hormone, cortisol, plays a role in regulating the inflammatory response but its ability to do so becomes significantly dampened by chronic stress. Relaxation & self-care: Try a variety of relaxation techniques to find one that works for you. A cup of warm tea, gentle yoga/stretches, a bath with lavender and/or epsom salts, meditation or other self-care practices. Exercise regularly: Maintaining regular exercise promotes relaxation. However your fitness activities should be enjoyable. While making efforts to reduce inflammation, avoid exercise styles that make you emotionally anxious or too physically drained. A special thank you to Botanica for partnering with me on this post. I only ever provide product recommendations that I actually love, trust and use myself… because integrity matters to me.